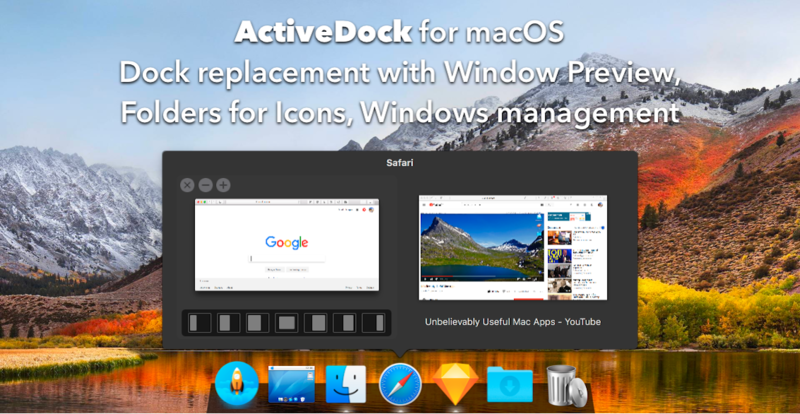 ActiveDock is a full replacement for Apple Dock with tons of customization features, tools for quicker switching between apps and windows, window previews and window management directly from the dock. This is a lifetime license for ActiveDock, including all future updates, and works on up to 5 macs. You can learn more about the app and watch a video of it in action here. ActiveDock requires macOS 10.12 or later.